Welcome to Temari! We are so glad that you are here to explore the ancient tradition of Japanese Thread Balls. We offer books, DVD, and individual stitching patterns. 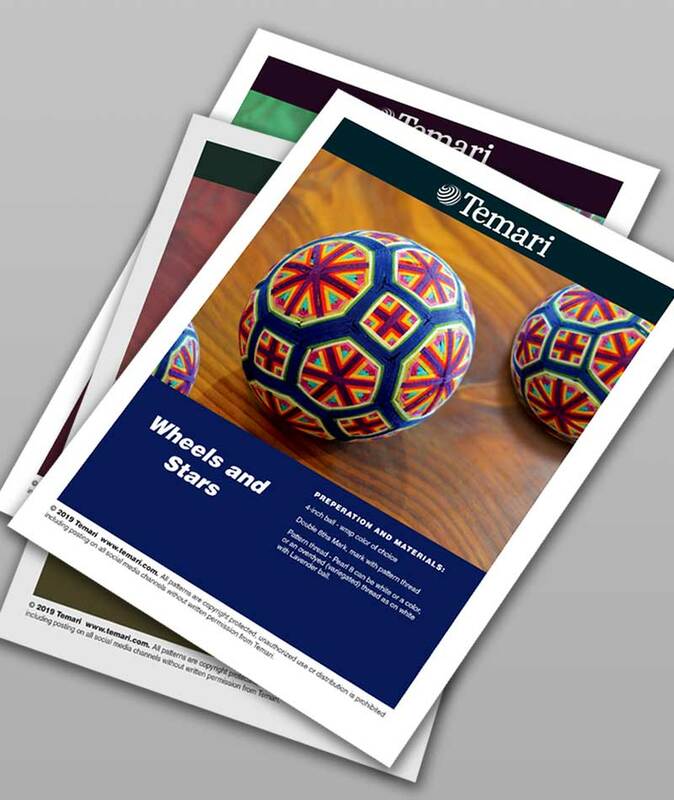 Join the fun with Temari! 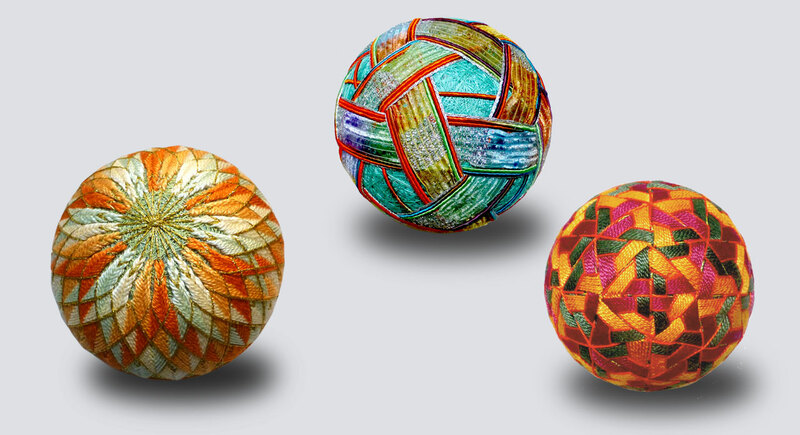 Unique in so many ways, TEMARI is one of the most satisfying, soothing, yet profoundly rewarding forms of needlecraft. Of Japanese origin, Temari was traditionally a gift given to symbolize perfection, deep friendship, and loyalty. Today, Temari are enjoyed not only for their tradition but also as beautiful, elegant, intricate, fun and awe-inspiring ornamental art. Temari opens new territories for novice to expert stitchers to explore. It hypnotically engages everyone, both male and female, into a journey of discovery. Various patterns are readily accessible along with inexpensive materials, making it easy for all stitchers to be successful. Clear, lavishly illustrated, and easy to follow instructions are provided in English. 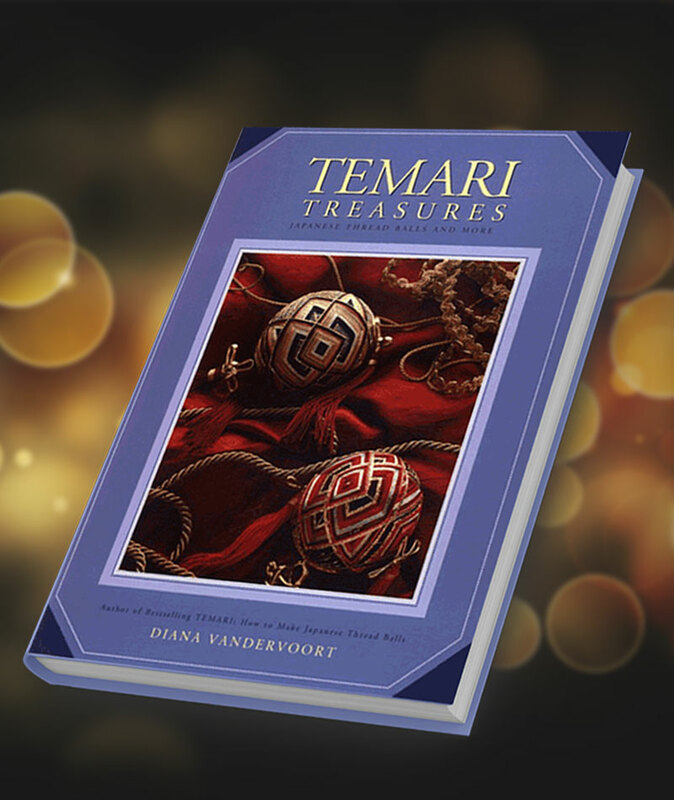 Temari brings the thrill of new surprises and the joy of accomplishment with each creation. Each ball is like a great book. You can’t put it down. It will keep you in suspense and in an unparalleled sense of adventure. 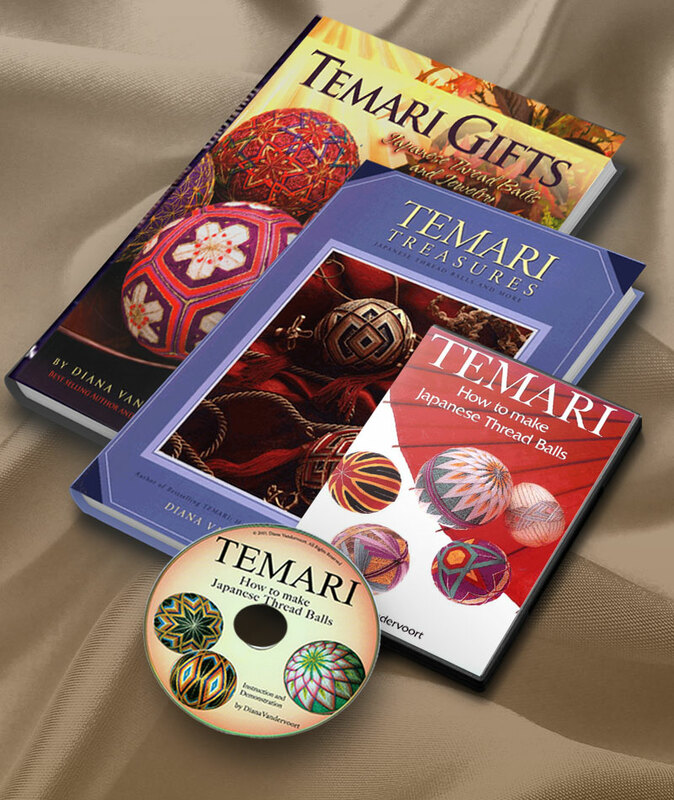 Temari will offer new techniques with each unique design. Take a look at our gallery for samples and individual patterns. Start Your Temari Experience Today! Simple progressive steps to ensure success. Stitching techniques to help you continue Temari on your own. Beginning, Intermediate, and Advanced techniques. Screen captions emphasizing important tips. tips and new pattern designs. Subscribe to our email list to receive exclusive specials, notifications for upcoming patterns, books, and valuable resources.